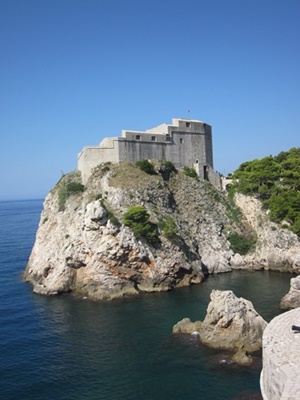 Lovrijenac Fortress is located next to the outer western walls of the city of Dubrovnik and rises up on a 37 m high cliff. Its primary role was a defensive one. It is a historic symbol of resistance to the Venetian Republic. Lovrijenac Fortress was used as one of the locations for filming popular TV series "Game of Thrones". A visit to this impressive fortress is included in the price of city walls ticket.